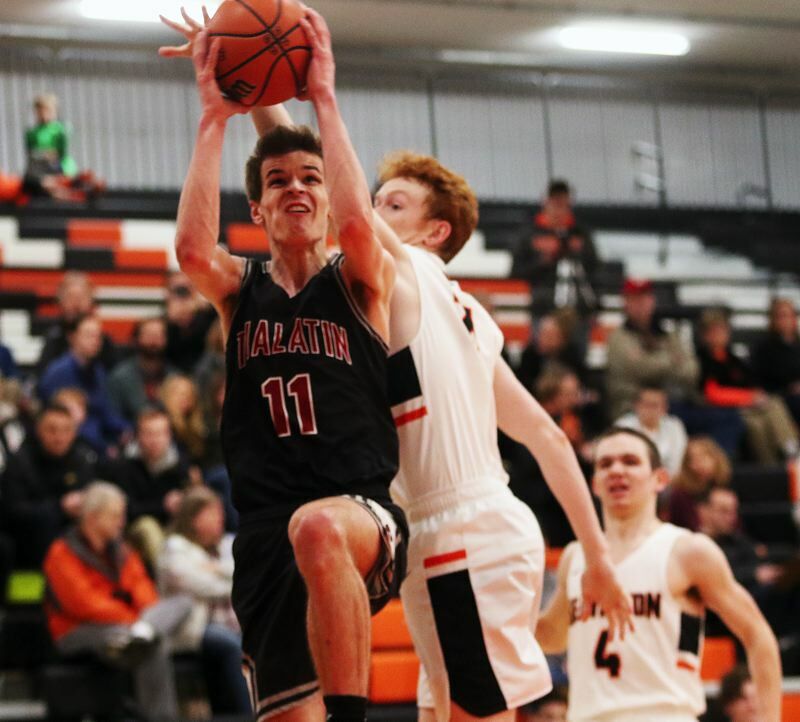 BEAVERTON — Sure, the Tualatin High School boys basketball team held a slim halftime lead. But the Timberwolves weren't satisfied with that. They were determined to do something about it. They wanted to make a statement. They did — loud and clear. 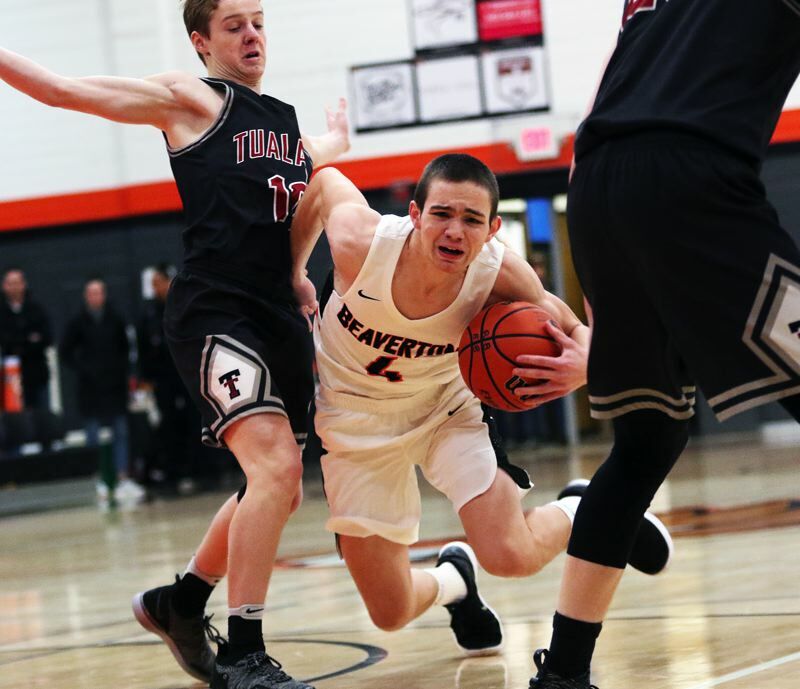 Tualatin, after leading Beaverton 28-26 at halftime, outscored the Beavers 29-8 over the first 7 minutes and 12 seconds of the third quarter on its way to scoring a 73-57 in a non-league game played Friday at Beaverton High School. 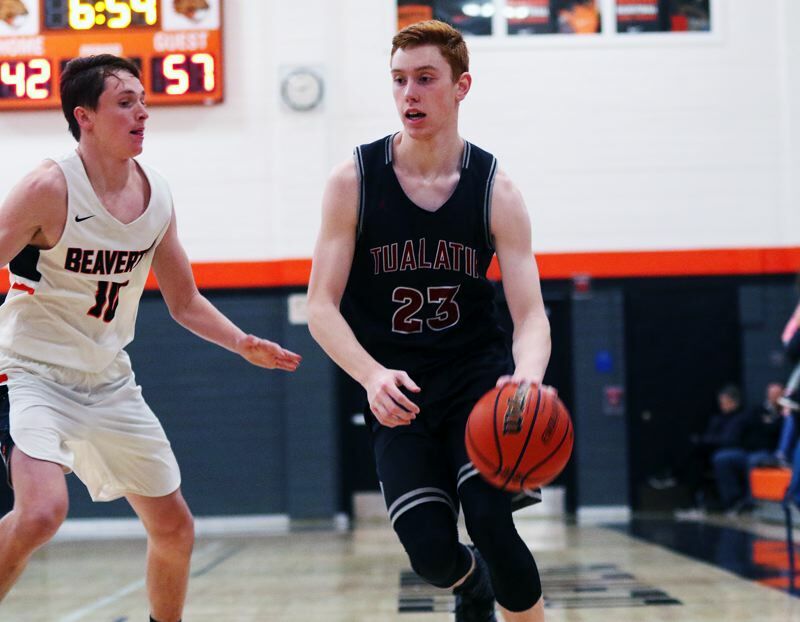 "Going into halftime, we knew we needed to pick it up," said Tualatin junior John Miller, who scored 16 points in the victory. "We had the whole second half to play, and we know that all good teams are ready to come back and play hard in the second half. So we knew we had to hit those first few minutes with all that energy, and then keep that energy up." 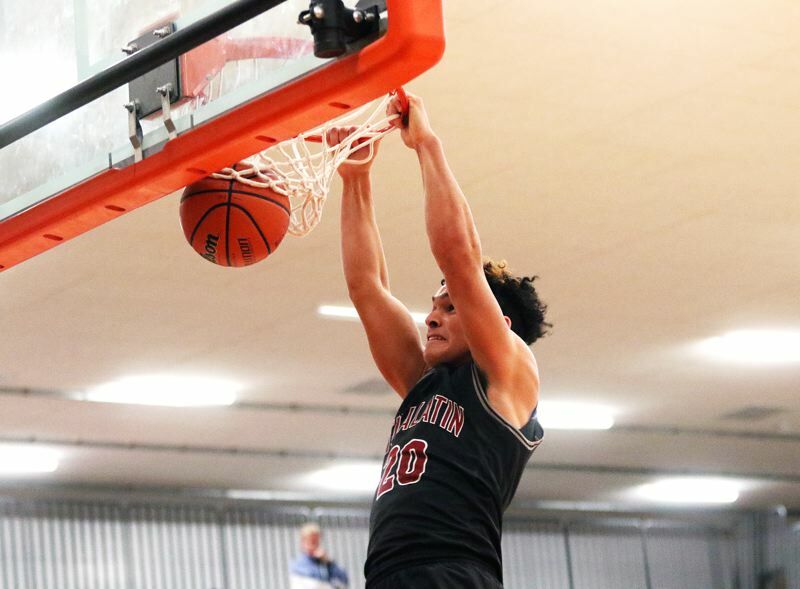 "We had a little bit of a slow start in the first half, so, when we got in the locker room at halftime, we got each other fired up," said Tualatin senior Jack Rose, who scored 15 points. "And we knew that those first three minutes were the most important of the second half." With the loss, Beaverton moved to 5-6 on the season. Tualatin upped its record to 7-3 with the victory. "This game was very important," Miller said. "They're a good team, and they challenged us. They showed us what we need to work on. We know that we have to put a whole four quarters together to be successful for league." "This was definitely important," Rose said. "Every win we can get going into league is important to up our ranking, because we're in a really tough league." 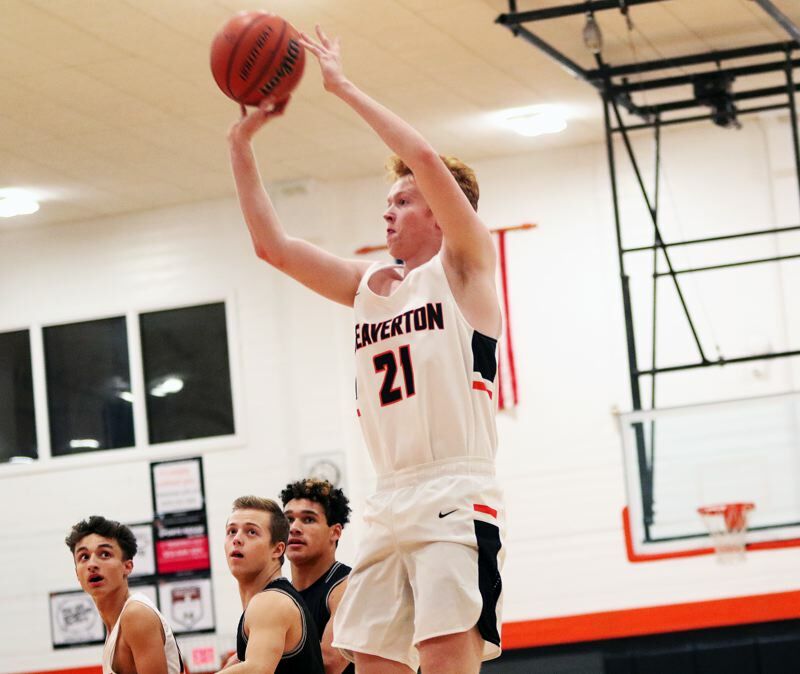 Beaverton, with senior Mason Stewart-Carothers sinking a pair of 3-point baskets, claimed an early 8-5 lead in Friday's game. Tualatin would answer with back-to-back 3-pointers by senior Caden Dickson, giving the Wolves a 14-10 advantage with 3:00 left in the first quarter. 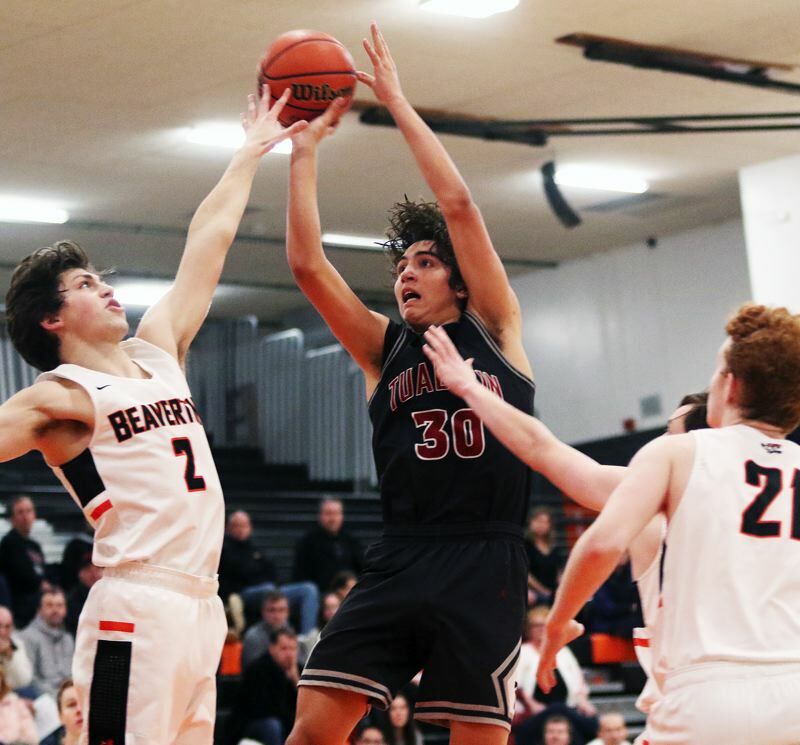 Beaverton got consecutive baskets by junior John Oleson late in the period, but Tualatin, getting a buzzer-beating follow-up basket from senior Jason Wisler, would take an 18-16 lead to the second quarter. Tualatin, getting four points from Rose, led the entire second quarter. But Beaverton, with Oleson connecting on a buzzer-beating 18-foot baseline jumper at the end of the period, would trail the Wolves by just two, at 28-26, at the intermission. The fired-up Wolves would pull away early — and fast — in the third quarter. Back-to-back baskets by senior post Bridger Steppe and a 3-pointer by Miller gave Tualatin a 37-30 advantage with 5:39 left to play in the period. Miller came up with a steal and a thunderous two-handed dunk to make the score 39-30. "Dunks are always a big momentum swing," Miller said with a smile. "They get you going, they get the crowd going, they get the bench going." The Wolves then doubled up the momentum as, right after Miller's dunk, Rose had a dunk of his own, following a steal by Dickson, upping the margin to 41-30 with 4:44 left to play in the quarter. "I wanted it bad," Rose said of wanting to answer Miller's dunk with one of his own. "I was running as fast as I could to get down there." The Wolves kept rolling after the back-to-back dunks. 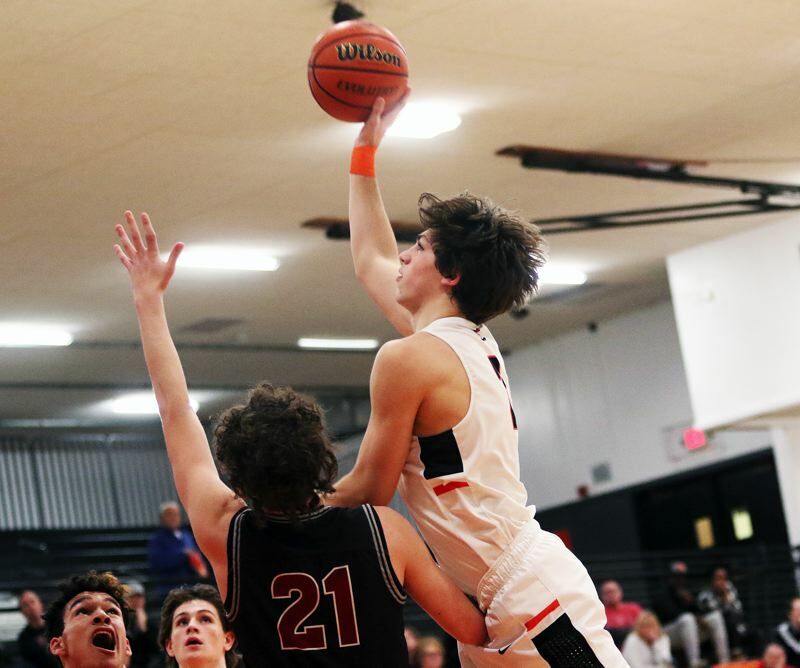 Dickson sank two more 3-pointers, Rose scored on a drive, junior Sam Noland scored four quick points, two coming off a steal and pass by Wisler, and Steppe had a follow-up hoop, pushing the lead to 57-34 with 48 seconds left in the quarter. 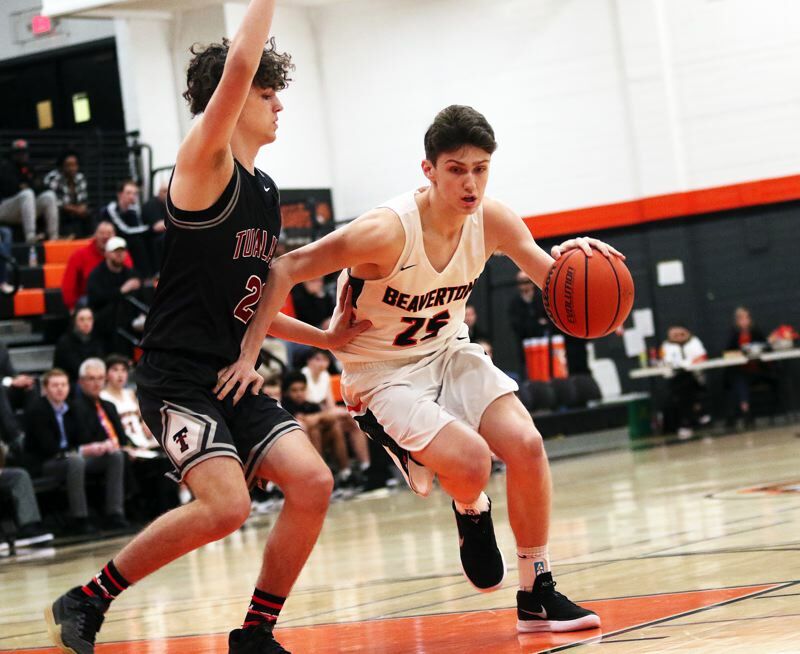 Beaverton, with sophomore Ams Juwara sinking a 3-pointer with 35 seconds remaining in the period, cut the margin to 57-37 going into the fourth quarter. The Wolves stayed strong throughout the final stanza. Dickson connected on another 3-pointer Miller scored four points and Steppe swished a foul-line jumper to make the score 72-51 with 1:30 left in the game. Beaverton ended the game on a 6-1 run, which included a 3-pointer by junior Tyler Baltus, to make the final score 73-57. "We definitely tightened up on defense," Rose said. "And, on offense we were sharing the ball. We had a lot of great fast breaks and plays." "This was really fun," Miller said. "It was fun to come out, get a couple dunks and have fun with my team." Dickson, going 5 for 9 from 3-point range, led all scorers in the contest with 21 points. Miller had five rebounds, two steals and two blocked shots to go with his 16 points. Rose had 15 points, six rebounds, three assists and three steals. Steppe added 10 points and Wisler scored six in addition to having a strong overall game coming off the bench. "Jason is a very underrated two-way player," Rose said. "He did great tonight." 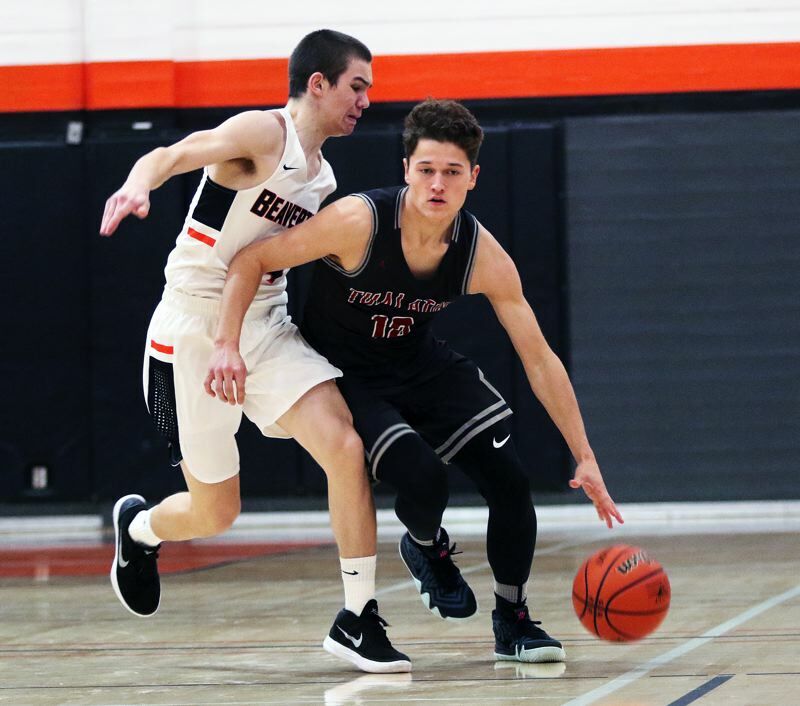 Tualatin, as a team, made 32 of 65 shots from the field, with seven 3-point baskets, and two of five free-throw attempts. 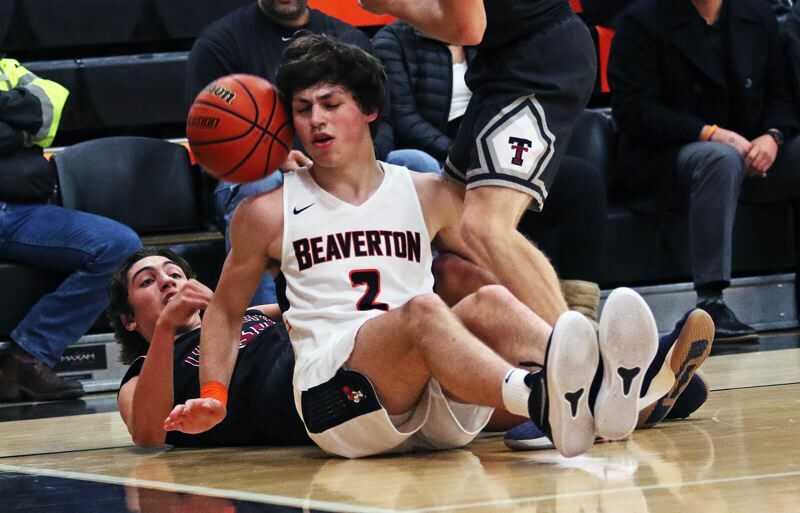 Oleson led a balanced Beaverton scoring attack with 11 points. Junior Bennett Giebels added 10 for the Beavers, junior Cody Davidson had nine and senior Isaac Rosenthal scored eight. Beaverton, as a team, made 22 of 54 shots from the field, with four 3-pointers, and nine of 14 free-throw attempts. Both teams will be back in action on Friday. Tualatin will travel to Grants Pass for a 6:45 p.m. non-league game. Beaverton will host Glencoe in a non-league game starting at 7:15 p.m.